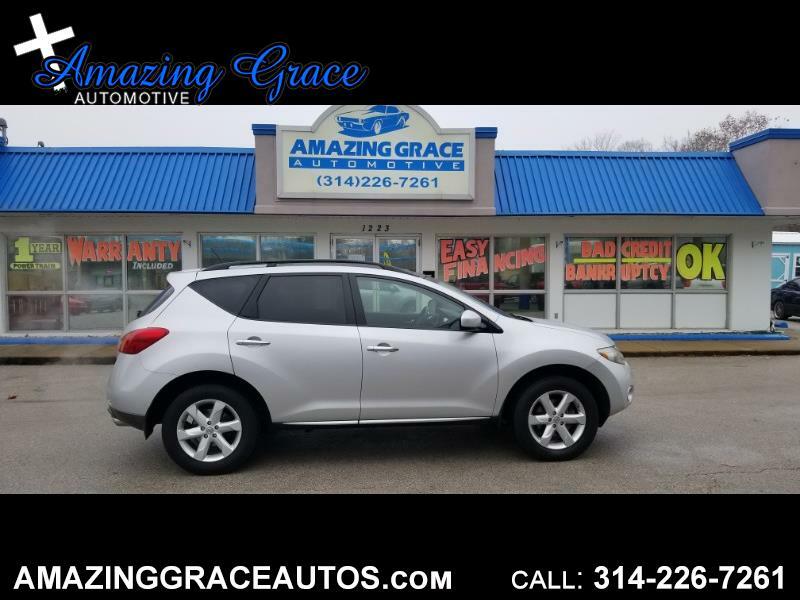 This is a very nice and very clean 2009 Nissan Murano SL AWD! This is a 2 owner Murano that has been well taken care of! Very clean and reliable! Runs and drives excellent! You will love driving your new Murano every day! You will be proud to drive up in front of friends and family in your new car! Plenty of roof with seating for up to 5 passengers with generous cargo space in the back! This 2009 Nissan Murano is powered by a fuel efficient 3.5L V6 that is paired with a smooth shifting automatic transmission. Tons of great features for you like: Heated Seats, Leather Seats, Power Moonroof, Bose Premium Sound System, Power Seats, Power Folding Seats, PanoramicDual Moon Roofs, AWD, Smart Key Technology, Keyless Entry, Side Airbags, Side Curtain Airbags, Roof Rack, Fog Lights, Premium Package, Traction Control, Vehicle Dynamic Control, Alarm System, Keyless Start, Cold AC an Hot Heat, Steering Wheel Controls, Bluetooth Handsfee Wireless, Back up Camera, Alloy Wheels, XM Radio, AM/FM/CD/Multi Disc CD Changer, and much more!